This floor scrubber has a width of 30cm. This machine is ideal for larger areas and will reduce chemical and water usage by up to 90%. 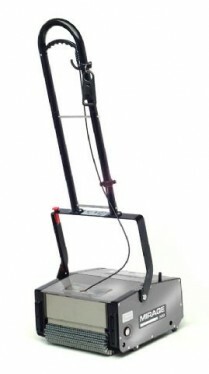 Fitted with stainless steel tanks, height adjustment for hard floors and carpet this scrubber will take all the hard work out of cleaning areas such as kitchens and bathrooms.